As you may know, Benjamin Fulford has recently been targeted with financial attacks and in June 2017 his PayPal account was suspended. At the same time, his former webmaster is suffering from cancer and she has been hospitalized. To help support Benjamin, the WDS has arranged a complete renewal of his website, developed and supported by a new IT team. The website now accepts direct credit card payments instead of PayPal. Starting on September 11th we are launching a one month subscription drive to restore the income that Benjamin depends upon for his work and his livelihood. Please visit the following link to create a new account or to log in and update your existing account with new credit card details. The subscription price has been increased from $8 to $11 per month so that we can also compensate the hardworking IT staff. They have been working as volunteers so far to help revamp the site but also have families to support. Your understanding is appreciated. During the subscription drive period, weekly articles will remain freely available, after which time only paying members will be able to read and discuss the content. BenjaminFulford.net is the premiere internet forum dedicated to the dissemination and discussion of deep geo-political news and analysis. 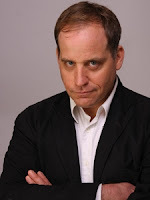 Thank you in advance for supporting Benjamin Fulford and his efforts spread truth and end global poverty, war, and environmental destruction. Please spread the word via email and on social media! The intense struggle at the highest levels of world power has become a Mexican stand-off with the Khazarian mafia staging weather warfare attacks on the US in a desperate attempt to retain control of the Federal Reserve Board. Hurricane Harvey, followed by Hurricanes Irma, Katia and Jose have all been associated with some sort of electro-magnetic beams emanating from Antarctica, US Navy sources say. There was also confirmation of sorts in the so-called mainstream media that large 25 degree Celsius warm caves filled with life have been found in Antarctica. The timing of this announcement may have just been a coincidence but it seems to be a way of letting the world know that Nazi bases built in volcanically heated caves in Antarctica before, during and after World War 2 are real. This is something the Russians have long been saying. In any case, a senior source in the P2 Freemason lodge hinted at their involvement in the attack by saying “There is no way out for America, only the big agreement.” The P2 have previously claimed the ability to conjure storms, earthquakes etc. through esoteric rituals linked to astrological events. The journalist Lance Schuttler, who recently interviewed this author, has heard the same thing through his own sources. The White Dragon Society, for its part, used its esoteric powers to weaken hurricane Irma but did not stop it entirely because it felt the US government needed a reminder on the anniversary of 911 that legal action has yet to be taken against the perpetrators of that act and the people who stole the US Presidential election in the year 2000, senior WDS sources acknowledged. The weather warfare was only a small part of the high level brinkmanship going on as the September 30th payments deadline for the US corporate government approached. The Trump administration and the military junta that backs it was using North Korea as an excuse to threaten all out nuclear war if the US government did not get funding to continue its operations past that day. Trump also used this tweet: “The United States is considering, in addition to other options, stopping all trade with any country doing business with North Korea,” to threaten to stop all trade with China. As a result of all this bluster, the US government was given enough money to keep going until December in order to buy time for world leaders to come up with a more comprehensive conclusion to the ongoing US bankruptcy negotiations. For now at least, the Chinese have not gone ahead with their gold and yuan based oil futures trading, which would constitute a frontal assault on the US petro-dollar. Trump, for his part, having gotten a bit of money to kick the can down the road, has softened his North Korea war talk for now. The privately owned FRB as well as its Khazarian controlled counterparts the EU Central Bank and the Bank of Japan also got the green light to resume goosing world markets with unreal money. In the US corporate media, this was all reported as though the three month extension in the US debt ceiling was entirely a US domestic issue that was solved via a compromise between Trump and Democratic Party officials. This move has angered Trump’s base, with many former Trump associates now saying the Trump regime has de facto ended. Ousted Trump consigliari Steve Bannon gave an interview on CBS 60 minutes that was a “hit that unleashes him as eminence grise of Trump and wing man outside the White House to take on globalists, Republicans, China, and the deep state,” one Pentagon source claims. What we have witnessed is little more than a temporary cease fire in a battle that is sure to heat up again over the coming weeks and months. What is at stake is control over the Federal Reserve Board and thus the right to print and distribute US dollars. On that front, the Khazarian mob is still losing big time. “Israeli dual citizen, Rotshchild agent Stanley Fischer was booted out as FRB vice chair while goldmanite Gary Cohn was blocked from running the fed,” Pentagon sources note. The Trump regime is now going to be in the position to select 5 out of the 7 FRB governors, a situation not seen since 1936. “It may well be that the FRB will be absorbed into [The US] Treasury when the gold-backed dollar is launched, as treasury Secretary [Steven] Mnuchin has refused to drop Andrew Jackson from the $20 bill,” the sources note. Jackson, of course, was the last US president who successfully ended Khazarian mob control of the US monetary system. The system as it is currently run is unsustainable so, one way or another, a replacement will need to be found. The privately owned central banks have already put $2 trillion into propping up markets this year alone with the result that $7.4 trillion worth of bonds are now trading at negative interest rates. The financial markets are thus getting further and further out of touch with the real economy and no matter how hard the central bankers try to avoid reality, reality has a way of eventually catching up to you. If the US military junta fails to take on the FRB within the US, the big move to end the privately owned central bank fiat money system may well come in Japan. A senior source in Japan’s royal family says that Japanese security police have compiled an arrest list of 700 Khazarian mob stooges in Japan. Of these, the top 70 are being followed 24 hours a day. Among those at the top of the arrest list are 5 former Prime Ministers, 4 former Bank of Japan governors, 3 former top Finance Ministry officials, 4 former chairmen of large banks and 8 top industrialists, the source says. The WDS has the list.